The authors continue to tell us a story set in Alaska in a hotel that existed long ago, named the Curry. At the end of the novel, there are websites listed for interested readers to visit if they so choose to see unique photos. This second book is a sequel following book one titled, In the Shadow of Denali, which many of us have known as Mount McKinley in Alaska. We continue to follow the adventures of characters we met in the first book and see how new characters come to the hotel with interesting backgrounds. One of the visitors is a young man and his younger sister from France. Jean-Michel was wounded not just in body but in soul. How can he follow through with his father’s last wishes to turn to God when he doesn’t know how or take of a younger sister he loves yet hardly knows because of the 10-year difference in age? Katherine is broken from an abusive marriage. 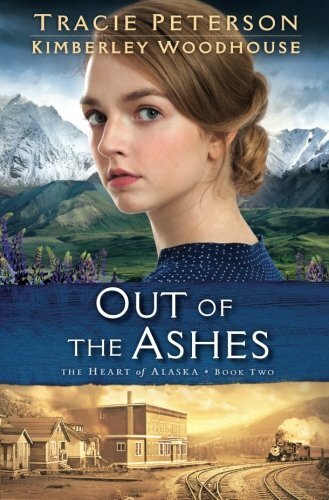 Her aging grandmother believes the best thing for her is going on an adventure to Alaska. What Katherine doesn’t know is that her grandmother has secretly set up something in the hope of her granddaughter finding healing, joy and the Lord. Collette is Jean-Michel’s younger sister and is maturing from teen to woman and is lost, having neither parent to guide her into adulthood. Tracie Peterson and Kimberley Woodhouse share about their own personal experiences while co-writing this book of times when they themselves have had God bring beauty from ashes. I was touched by their transparency with readers as well as what happens in the work of fiction they share with us. Read and enjoy the first two books before the third book in the series titled, Under the Midnight Sun, is released!